Erin is a political anthropologist with primary interests in transnational social movements and their critics. She has worked on an anti-military movement in Ecuador and a radical environmental rights movement in the United States, Ecuador, and Western Europe. She is particularly interested at present in the ways in which environmental ‘rights’ are being differently constructed, implemented, and challenged by states, civil society groups, and industry personnel in the energy sector in ways that problematise widespread assumptions about corporate rights and responsibilities. Kalissa works on gender, migration and globalisation in the Pacific. Based on fieldwork in the Pacific Islands (Cook Islands, Samoa and Fiji), Aotearoa New Zealand and Australia, her research explores the interface between global and local practices and processes. She tracks broad economic and political configurations and the ways these are re-configured in aesthetic, affective and popular cultural production. Cameo Dalley is a socio-cultural anthropologist whose research is focused on the construction of Aboriginal and settler identities in remote northern Australia. Her work considers the transformed and transforming social field as defined by intercultural experiences of intensity, isolation and migration. She conducts extended ethnographic research in remote locations and her perspective is influenced by extensive work in the applied fields of native title and cultural heritage management. Dr Ana Dragojlovic, is an anthropologist working at the intersection of gender, colonial violence and its effects, intimacy, marginality and citizenship. She is also an Associate Investigator for a project entitled ‘Affectivity of Historical Violence’, at the ARC Centre of Excellence for the History of Emotions. Her current work focuses on therapy cultures among refugees and vulnerable communities in Europe and Australia. Catie's research explores the ways in which the cultural values and practices of settler communities influence, and are influenced by, their dynamic social and natural environments. With a regional focus on southern Africa and Australia, she has published on issues spanning human/animal relations, tourism, racial and national identities, and the anthropology of food and meat. Ghassan works in the comparative anthropology of nationalism, colonialism, racism and multiculturalism. He has held many visiting professorships around the world including at the Ecole des Hautes Etudes en Sciences Social, Parid, University of Amsterdam, University of Copenhagen, Nanterre and Harvard. Lan has been studying migration in and from Vietnam for 15 years. She is particularly interested in the ways social relationships, identities and belonging are negotiated and reconfigured at the intersection of gender, class, and mobility. Her current research looks into the relationship between money and morality in the context of Vietnamese irregular migration to Russia. Dr Klein’s research interests include the psychologisation of development interventions, women’s agency, neoliberal subjectivities, economic rights and Indigenous development. 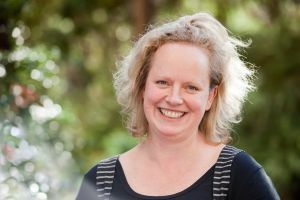 She held a Post-Doctoral Fellowship at the Centre for Aboriginal Policy Research at the Australian National University examining conditionality in Indigenous policy and has a Doctorate from the University of Oxford. Tamara Kohn’s current research interests look at identity, mobility, and belonging, embodiment and the senses, and the anthropology of death and commemoration. Fieldwork in Scotland, Nepal, Japan, Australia, US. Monica’s research focuses on processes that shape change in the ways that people understand relationships to each other and the land/sea, and particularly the interplay of social practices and cultural constructions. She has conducted extensive fieldwork among Kubo and Bedamuni people in Papua New Guinea, and with professional fishermen in Victoria, as they are increasingly caught up in imperatives of modernity and globalisation. Dr Hannah McCann completed her doctoral work as the Inaugural Gender Institute PhD Scholar at the Australian National University. Her research explores feminine gender presentation as represented in feminist discourse and in queer femme LGBTQ communities. She has published in the Australian Humanities Review, Australian Feminist Studies, Women’s Studies Quarterly, and on The Conversation, writing on topics including postfeminism, affect theory, queer femininity, and Fifty Shades of Grey. Yadira Perez Hazel is s socio-cultural anthropologist and Honorary Fellow in the School of Political and Social Sciences. She completed a PhD in Anthropology at the University of Virginia and received a Bachelor of Arts with honors from Cornell University. Yadira held fellowships at Waikato University and Auckland University and has been awarded national awards for her research including Fulbright, National Science Foundation and Woodrow Wilson. Her primary interest include identity formation, immigration, nation-building, critical race studies and belonging.